Mary of Agreda was born at Agreda in Spain in 1602, of noble parents, whose virtues surpassed the nobility of their birth. Very early the child showed special signs of grace. At the age of six she had attained a high degree of prayer, which was noticeable in her devotion to the Blessed Virgin Mary and to the sufferings of our Lord. Her confessor recognized the great graces with which she was favored, and permitted her at a tender age to receive Holy Communion and to practice extraordinary works of penance. Painful illness which afflicter her, she bore with the greatest patience, strengthened by the remembrance of Christ’s sufferings. In her seventeenth year Mary entered the convent of Poor Clares of the Immaculate Conception at Agreda. As a novice she excelled in the exercises of convent life. She made her profession on the feast of the Purification in 1620 as Sister Mary of Jesus. After she had consecrated herself to God through the holy vows, the young religious strove for perfection with holy earnestness and cheerful surrender to God. At the same time her unassuming humility and kindness of heart made her so beloved by her fellow sisters, that at the age of twenty-five she was elected abbess. The pope confirmed her election to office; and she was obliged to accept it repeatedly for thirty-eight years until her death. Only once, at her most earnest request, was she released for a period of three years. As the superior, Mary was always the first among her associates to engage in lowly work. She swept the halls, nursed the sick, washed their linens, and appeared to have a special preference for the most menial services. Her way of life was so austere that one wonders how she could do her work. She not only abstained from meat, but never partook of eggs, milk, or cheese; she slept on a board for only two or three hours; the remaining time of the night she spent in exercises of devotion. Venerable Mary of Agreda governed her subjects with as much wisdom as love. 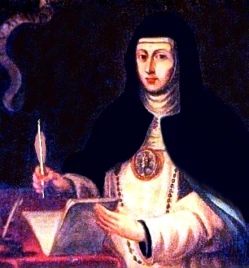 She was endowed with great wisdom, so that persons of the highest rank, also prelates and bishops, and even the king of Spain, asked her for advice. When she spoke of God, all who heard her were inflamed with the love of God. 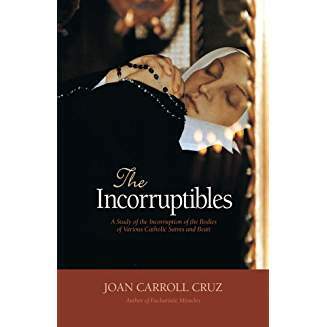 She received special revelations concerning the life of the Virgin Mother of God, which she recorded in a book called The Mystical City of God. Mention should be made about Mary of Agreda’s work among the Indians of Texas and New Mexico. Her ardent desire, prayers, and sacrifices for their conversion were apparently rewarded with the gift of bilocation. Between 1621 and 1631, when Mary of Agreda was between nineteen and twenty-nine years of age, she made some five hundred visits to the Texas Indians, coming, as it seemed to them, from the hills on their horizon and returning that way after her instructions were over. When these Indians presented themselves to the Franciscan missionaries in New Mexico and asked that fathers be sent among them, it was learned that a Lady in Blue had often come among them, instructed them, and ordered them to seek out missionaries to baptize them. Upon investigation it was learned that this Lady in Blue was Mary of Agreda, who, when she was put under obedience to tell what had happened, said she had no explanation. She could not say how she got there, only that when she was praying for the welfare of the Indians, she just found herself among them and began to instruct them. Presently she found herself home again. This happened many times. A bishop testified that when Venerable Mary of Agreda went into an ecstacy her body was raised a bit above the ground and appeared to have no weight, moving even to a slight breeze. Her face was very beautiful, though somewhat pallid compaired to her normal swarthy hue. She would often remain in this state for hours. Mary died on Pentecost morning, May 24, 1667, at nine o’clock, at the time the Holy Ghost descended upon the Apostles and when the “Veni, Creator Spiritus, Come, Holy Ghost Creator!” was being recited in the canonical hours. 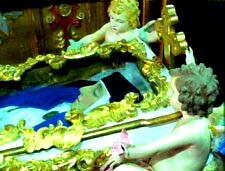 At her grave many miracles were wrought; and her cause of beatification is now being carried on in Rome.